Are you an MTN user and yet to enjoy MTN Call Me Back service? Here comes the service in fullest. MTN telecom network has so many ways of serving their customers better. They introduce new service always, so as to keep their customers engaged to their network. 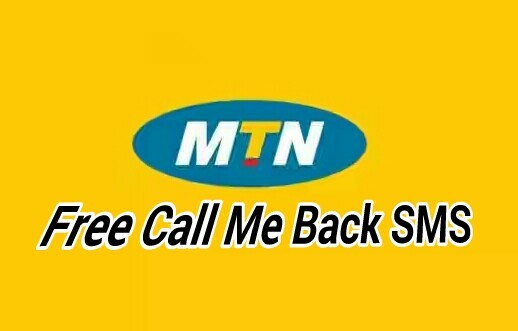 Although, this particular service we are informing you about today, on how to use MTN call me back, I love you, or Send me credit for free, has been introduced for quiet long now. You Should also enjoy from MTN XtraByte Data Service. MTN Call Me Back as it stands, is a free service that offer MTN users the opportunity to send an SMS that pertains asking your friend to call you back, or send you credit etc. 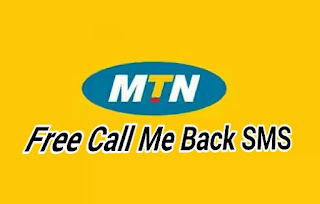 This Call Back service becomes more useful when you need to call somebody on phone, may be at that moment you are not eligible to borrow from MTN Xtratime service, and no money on you to buy card and recharge your phone. If that should be the case, then MTN Call Me Back service can help you out. MTN Call Me Back messages are always useful, especially if you are a PayAsYouGo customer on the network. Read also: How To Set Up Call Barring on MTN Network. You can Send MTN Call Me Back message to other fellow MTN users by dialing this code *133#, then hit the green call button. After dialing the code above, a pop up will surface asking you to enter the MTN number you wish to send the call me back SMS. =>5. Call me. I need your assistance. Use the number attached to each one to use the type of service you want. When done with that, the person you sent the message will receive it immediately. So, is now left for the person to call you back if he or she has airtime. Note: The service is free and can only be used up to five times per day. So when you exceed that limit for that day, you will be stopped from using the service until the next day, which you can continue using the service. You can as well use MTN CallBack personalised service just for free. Example: *121*08100000000# and click green call button. Remember, this service is same as sending callback request to those MTN numbers you wish to call you back.